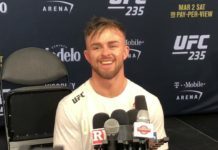 Cardio should not be an issue for Cody Stamann as he heads to Dallas to face Aljamain Sterling at UFC 228. Remember the old Family Guy gag where Peter tries to tell Lois that he’s in “too good of health” after faking a doctor’s visit? 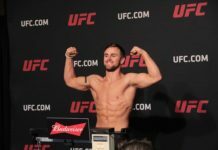 UFC 228’s Cody Stamann is in such great physical condition that doctors put him through a gambit of tests — which the Michigan native pasted with flying colors. UFC 228 is fast approaching. And while Tyron Woodley and Darren Till will garner most of the headlines leading up to this Saturday night, the undercard is chock full of exciting bouts. While the five-fight main card will most likely live up to expectations, the four-fight FX prelim is a sneaky good offering. 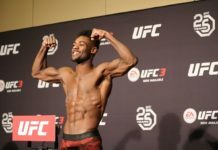 Cody Stamann and Aljamain Sterling will be the feature bout of the FX portion of the prelims. 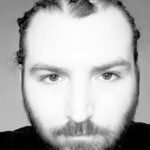 Cageside Press caught up with “The Spartan” to talk about his upcoming feature fight, his unbelievable health, and more. The #10 ranked Stamann will be facing his highest ranked opponent in Sterling, who currently occupies the #8 position, just two spots ahead of him. That being said, Stamann believes his last fight against Bryan Caraway was his first chance to prove he belongs. He did not disappoint. The 28-year-old Stamann boasts an impressive 17-1 record. His only loss came via a close split decision back in 2014. Regardless, the Michigan native feels he hasn’t even begun to scratch the surface of what he can be. Perhaps, but “The Spartan” already possess some pretty impressive DNA. In fact, his conditioning is so good that the doctors thought something was wrong with Stamann and ran him through a bevy of tests. All of which Stamann pasted with flying colors. A physical specimen in every sense of the word. 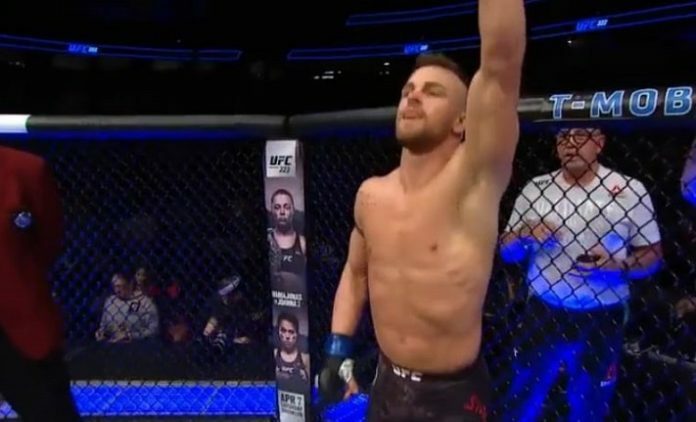 Stamann will be making his fourth walk to the octagon at UFC 228, and there’s a good chance his heart rate never breaks 80 bpm. Now that’s crazy.